Sometimes life just needs "rocks, heat, and water." Mars is a dusty planet plagued by giant dust devils and carbon dioxide snow and is also maybe where your descendants will spend the last of their mortal days. But this isn’t how it always was: According to recent research from NASA, about 3.7 billion years ago the Red Planet, which is approximately 34 million miles away from Earth, contained seafloor hydrothermal deposits — hot springs that pumped mineral-filled water into a giant Martian sea. This discovery reveals how Mars once was and also provides some evidence to how life may have begun on our own planet. In a paper published in July in Nature Communications that gained traction after NASA publicized the findings last week, a team of international scientists explain that their ancient seafloor hypothesis emerged after analyzing photographs taken by NASA’s Mars Reconnaissance Orbiter. The spacecraft took an image of massive deposits in a basin on southern Mars called the Eridania basin, and the shape and texture of the site’s bedrock layers indicated that it might be the site of former hydrothermal deposits. The Eridania region of Mars. These seafloor deposits might even be a window into what early Earth was like. Some scientists theorize that life began on Earth in hydrothermal conditions around the same time that these Martian hot springs flourished. However, it’s tricky to know for sure because the geological record of early-Earth environments are not well preserved. It’s becoming more and more obvious that Mars was a pretty wet and wild place — and far more sustainable place for life that the meagerly watered planet is now. It’s uncertain how Earthlings will thrive there, but until then, Mars can tell us more about how life on Earth began in the first place. 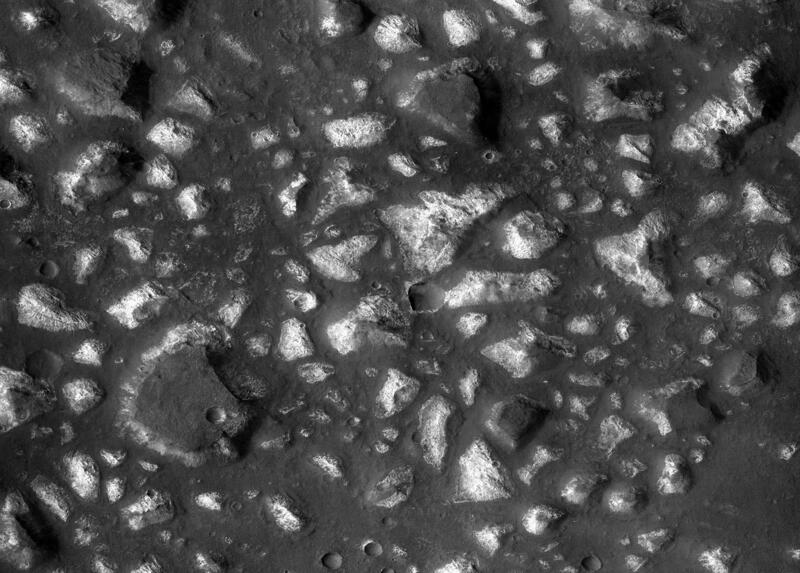 If you liked this article, check out this video of a hole on Mars that could be home to Martian life.